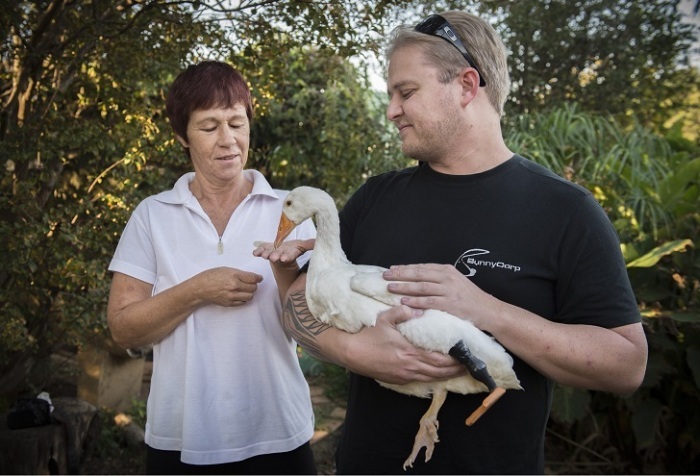 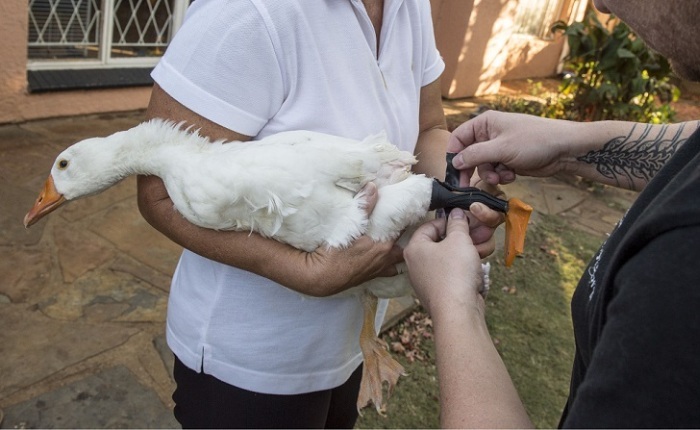 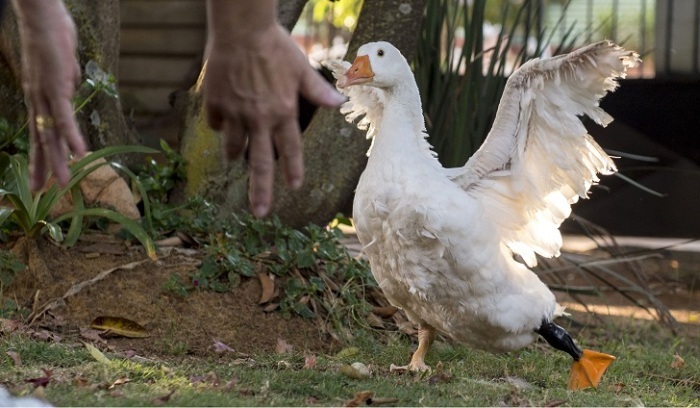 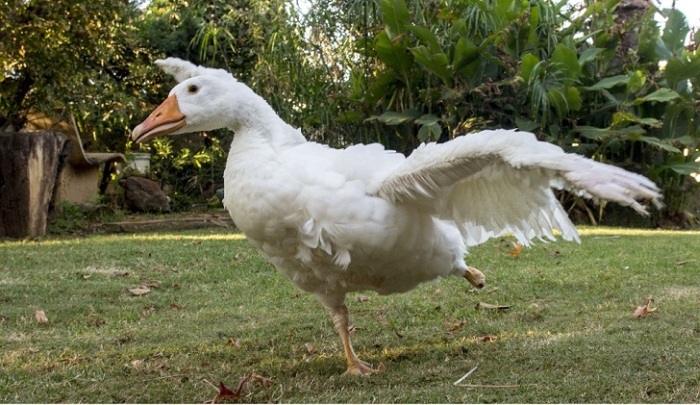 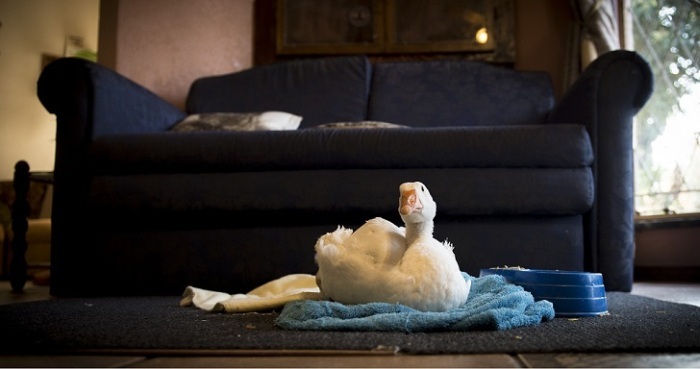 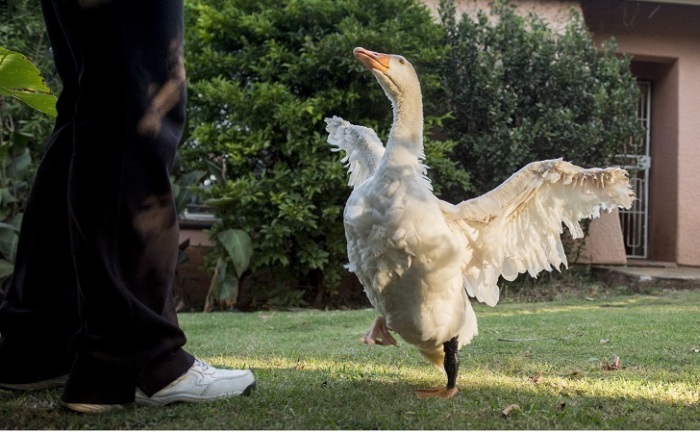 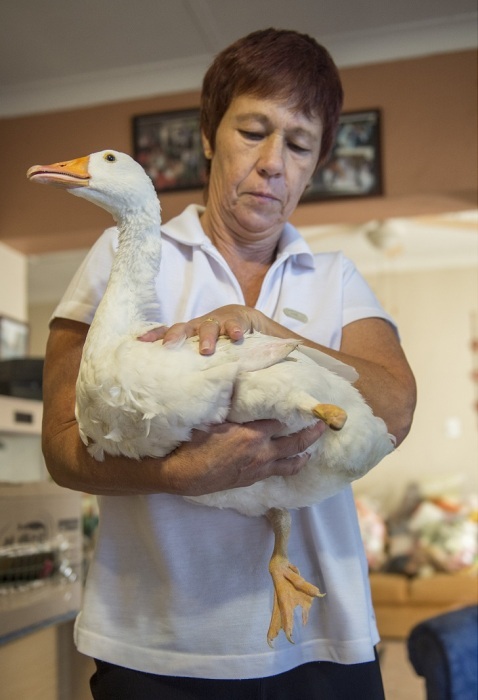 Ozzy is a goose who lives in South Africe and he lost one of his limbs at a very young age. 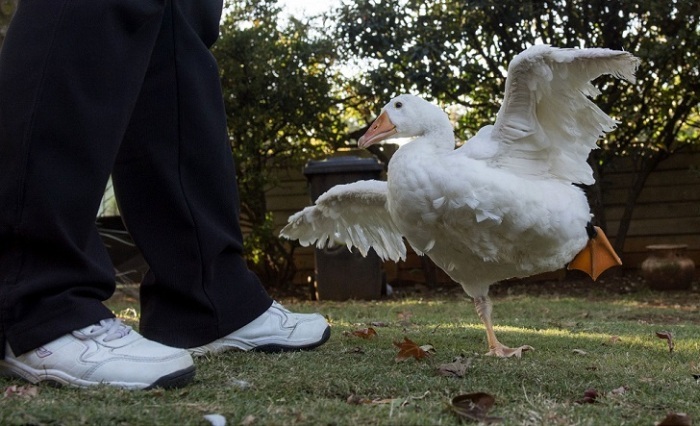 He had a tough time getting around on only one foot but now he's getting the help he needs. 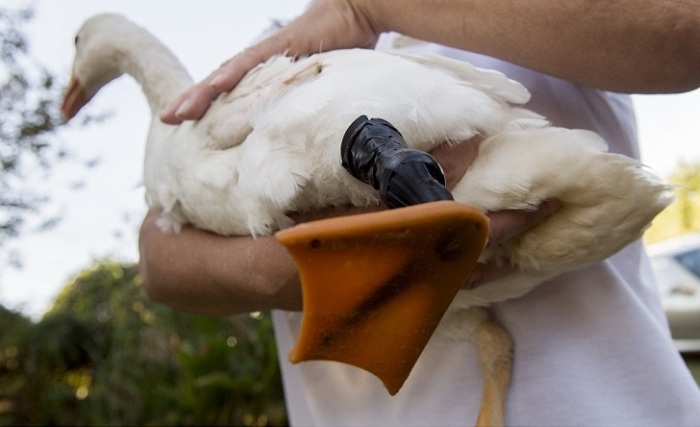 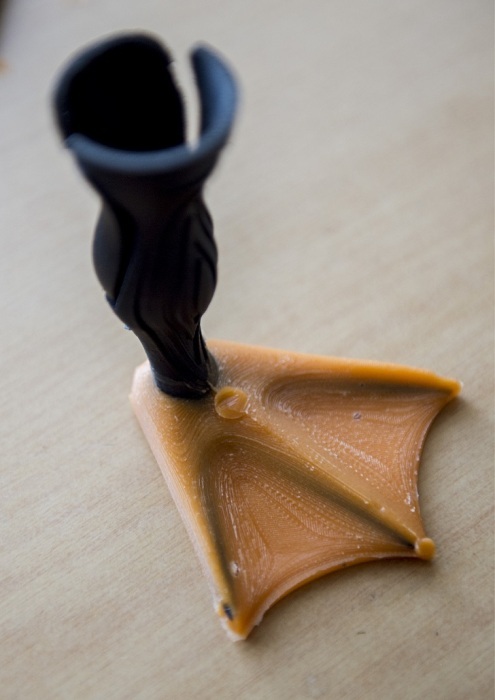 His owner Sue Berger reached out for help and someone answered by giving Ozzy a 3D printed prosthetic foot. 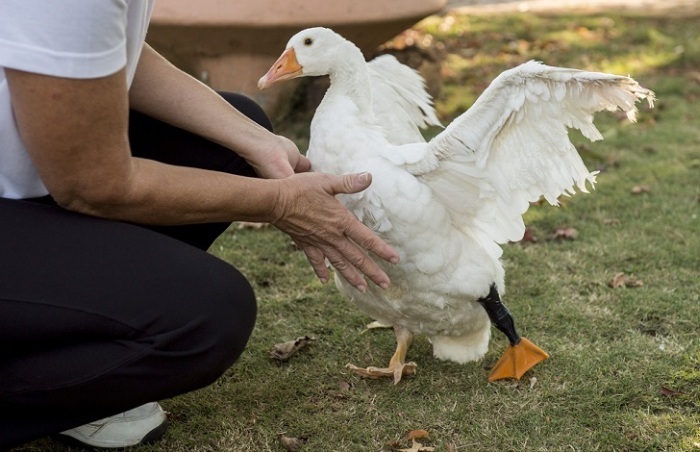 Ozzy is said to be having a tough time adjusting to life with two feet but he's making it work. 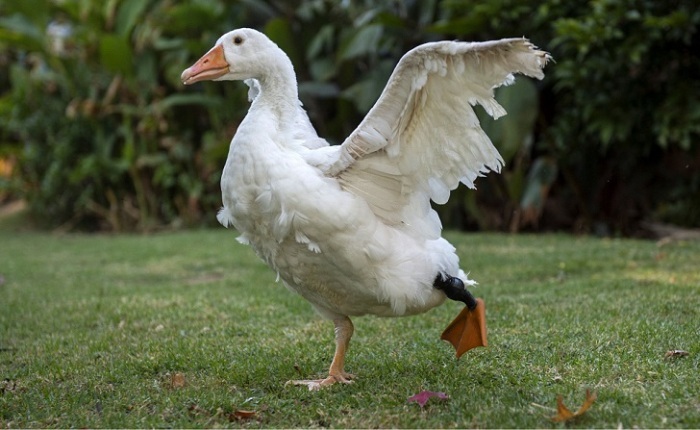 Looking at the wings - the dog got hold of it?